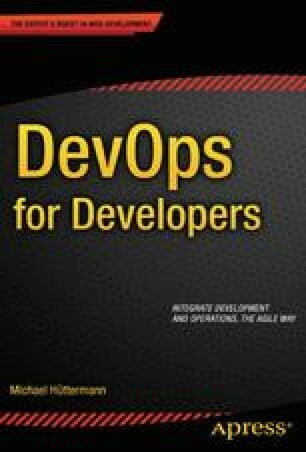 In this chapter, I’ll introduce the concept of DevOps. I’ll also summarize in which areas traditional projects suffer, what Agile has done in the past several years to improve this situation, and what is nevertheless still missing in many projects to day. With Agile, testers and programmers became developers, and with DevOps, developers and operations become DevOps. I will show that natural con fl icts between developers and operations often lead to the “blame game,” which can be resolved through use of the DevOps approach. DevOps leads to a “one team” approach where programmers, testers, and system administrators are involved in the development of the solution.